Anålogo is an office of architecture and landscape. Anålogo was founded in Rovereto in 2011 by Massimo Peota and Valeria Zamboni after various work experiences in Italy, Austria and Netherlands. 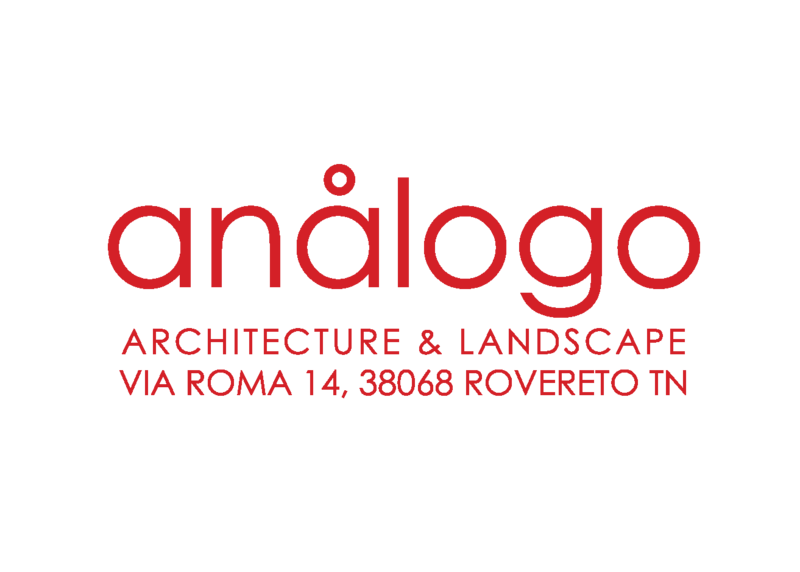 Anålogo ranges from architectural design to urban strategy and landscape. The office's strategy starts from the analysis of the context to define the best solutions for the definition of spaces and to improve social and cultural dynamics.Anålogo includes a multidisciplinary character in every project: from design communication to participation among various parties. As defined by the name (anå-logo: against-image), our office wants that every architectural project have to go beyond the beauty of image, in order to offer an innovative, sustainable and human scale design.